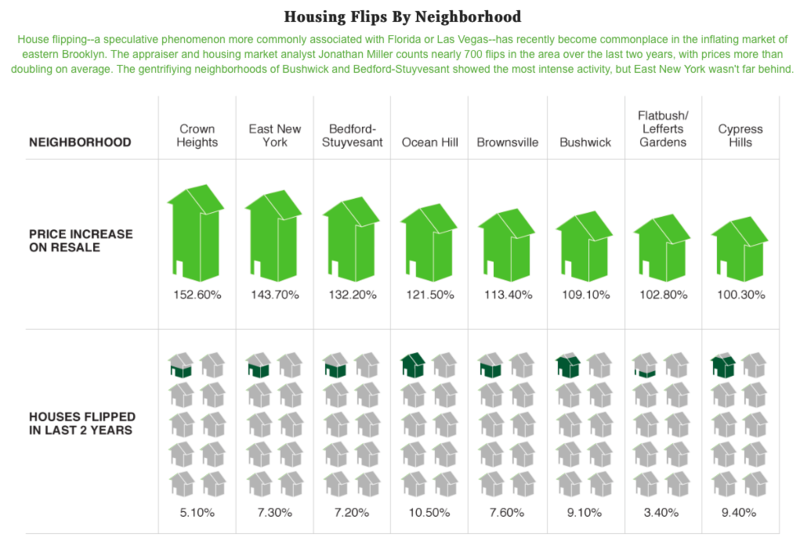 This infographic was part of an epic must-read Andrew Rice piece for New York Magazine called: The Red Hot Rubble of East New York which explores the gentrification frontier where investors and New York City’s efforts to create affordable housing are running headlong into each other. 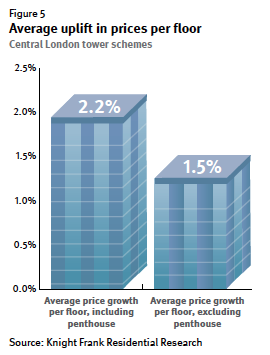 As much as 10% of the property sales are flips and prices are up 150% over the past 2 years. In the spring of 2012 my floor level valuation methodology was illustrated in a great piece in New York Magazine by Jhoanna Robledo called “What Price Height and Light?. The graphic and accompanying descriptions provide incredible clarity to a fairly convoluted subject. In the flurry of transitioning content to our new site over the past few months, I remember the actual moment when I deleted the original post for this topic by mistake and thought, “wow this is annoying but I can always go the Wayback Machine.” However, today someone asked me about the graphic and I couldn’t find my prior post on the Wayback Machine (but I found a bunch of cool stuff) so I am reposting this piece. I really LOVE the graphic that New York Magazine came up with. The graphic is fairly self-explanatory. For Jhoanna Robledo’s story: “Splitting the Rent, Fair and Square: Appraiser Jonathan Miller calculates how to divvy up the bill based on a typical two-bedroom, $3,200-a-month apartment.” in this week’s real estate feature piece in New York Magazine The Art of Roommating, I attempt to give some logic on how to fairly allocate the rent to 2 people sharing a 2-bedroom, 2-bath Brooklyn apartment. 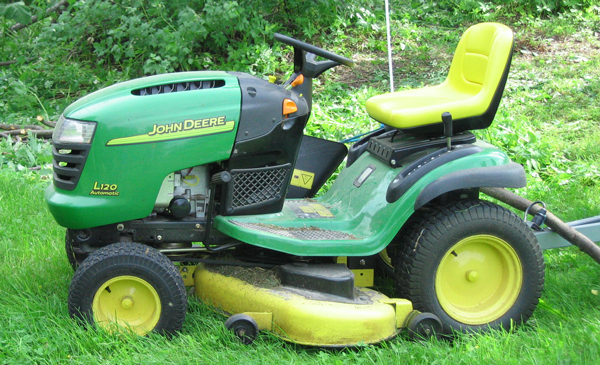 …or if you’re friends you could split it evenly. just saying. A few weeks ago I provided some logic to Jhoanna Robledo at New York Magazine about valuing a fireplace. She’s just as interested in quantifying amenities as I am and has written some fun pieces on valuing various amenities using my logic. Floor level. Outdoor space. Light and Views. She distilled down the ±90 minutes of discussion on the hot topic…and remember when it comes to valuation logic, one size doesn’t fit all. My approach came from 26 years of valuing thousands of co-ops, condos and townhouses in NYC but the same logic could very well apply to other markets. In a study of Manhattan sales that appraiser Jonathan Miller made with researchers from NYU’s Furman Center for Real Estate and Urban Policy, apartments with fireplaces cost an average of about 10 percent more than those without. (The difference was 11.4 percent in condos, 9.7 in co-ops.) 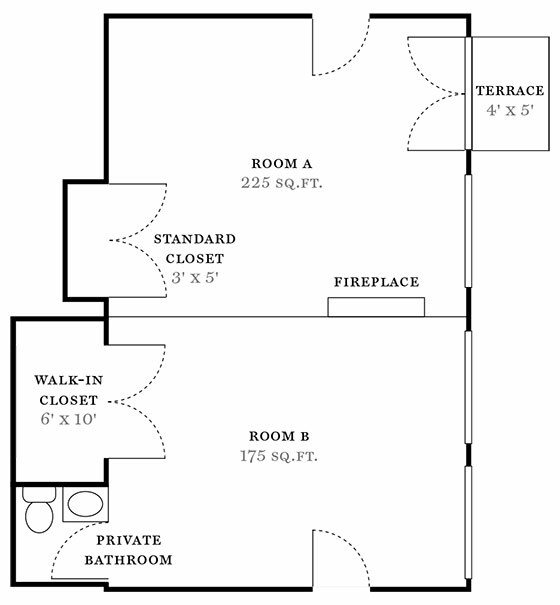 But the fireplace is “part of a suite of amenities” not easily parsed from other prewar features like high ceilings. Miller estimates that the fireplace itself adds 2 to 5 percent to the price. That’s a fairly wide range, depending majorly on placement: A mantel in the center of the living room is worth a lot more than if it’s in a back bedroom. And if the fireplace doesn’t work, or the flue needs more than a cosmetic touch-up? That cuts the value by half. 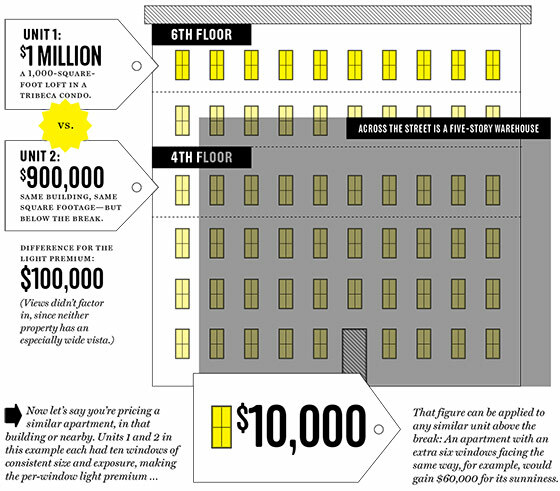 Jhoanna Robledo over at New York Magazine squeezes light from my proverbial turnip and the result is a very cool graphic on one way to value light in an apartment in her piece “What’s the Price of Light?” The topic of view have been recently explored and floor level. Light is perhaps the most subjective of the view-floor level-light trio but this is the logic our firm has used for years (based on the “paired sales” theory that isn’t very practical in an appraiser’s daily life) but I feel it’s a good starting point, and of course it depends on the nuances of each situation. 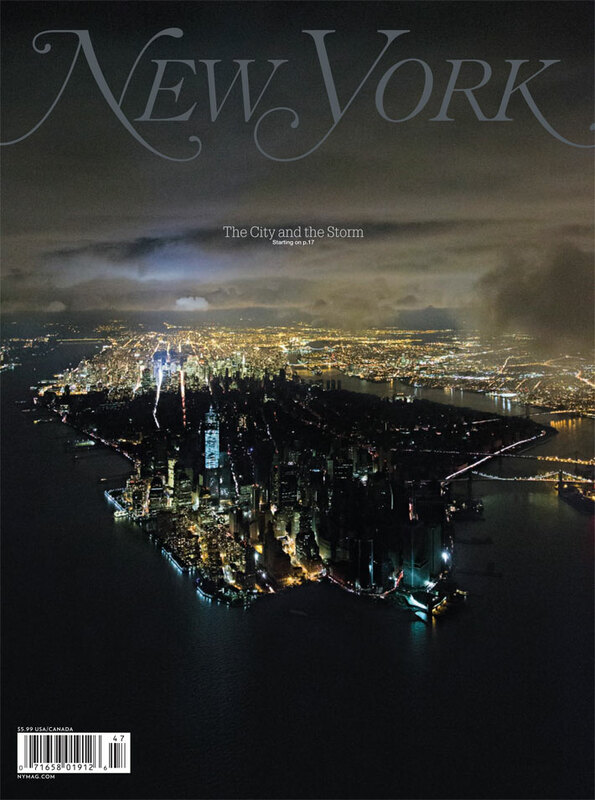 Since my company is located in neighborhood formerly known as “SoPo” (South of Power) I thought I’d post the amazing New York Magazine cover. 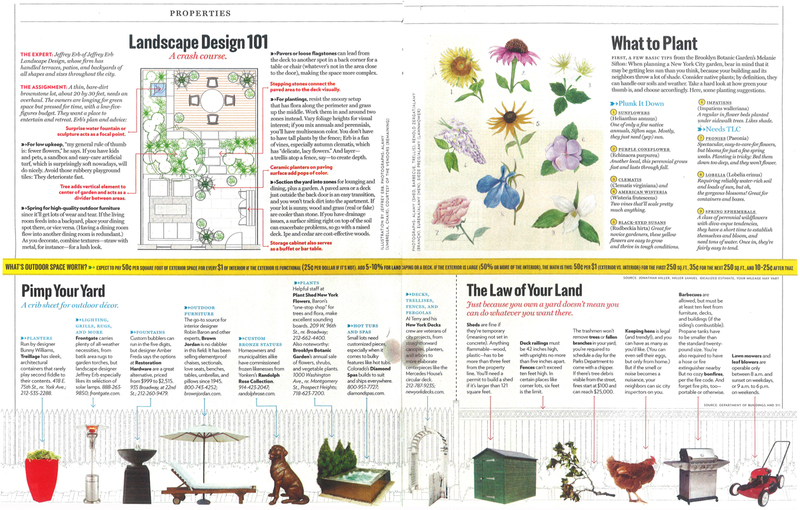 In this week’s issue of New York Magazine, Jhoanna Robledo goes all out on the topic of outdoor space in city residences in “1/100th of an Acre of Heaven“. She asked me how our appraisal firm approaches the valuation of outdoor space. And it brings to mind one of the most read posts on Matrix: Understanding The Value of Manhattan Apartment Outdoor Space where I break down the background and logic for the valuation of outdoor space. I point real estate agents to this post nearly every day. 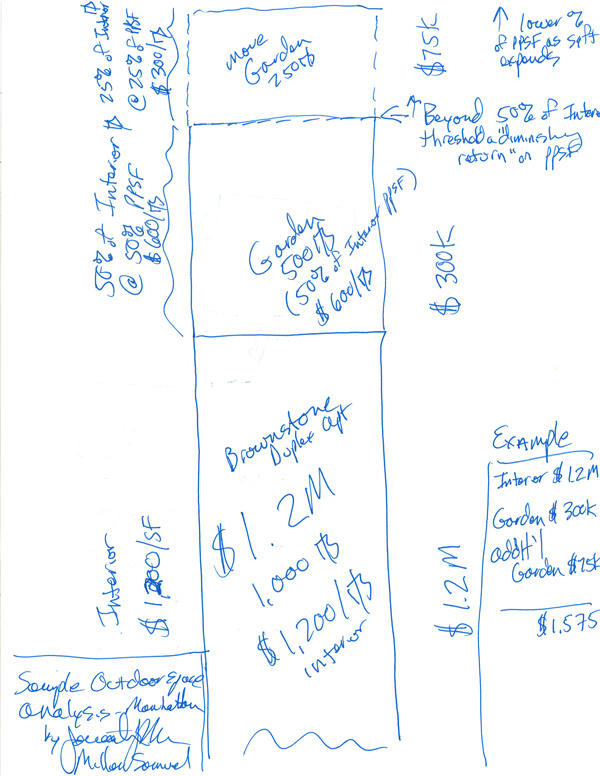 Hypothetical examples of our valuation logic is displayed in these 2 crude sketches [pdf] with hypothetical scenarios I submitted for this NY Mag piece that weren’t used (hey, I never took art in school, EVER). It’s part of my attempt to compartmentalize amenities of properties to derive a reasonable value relationship with the basic property. 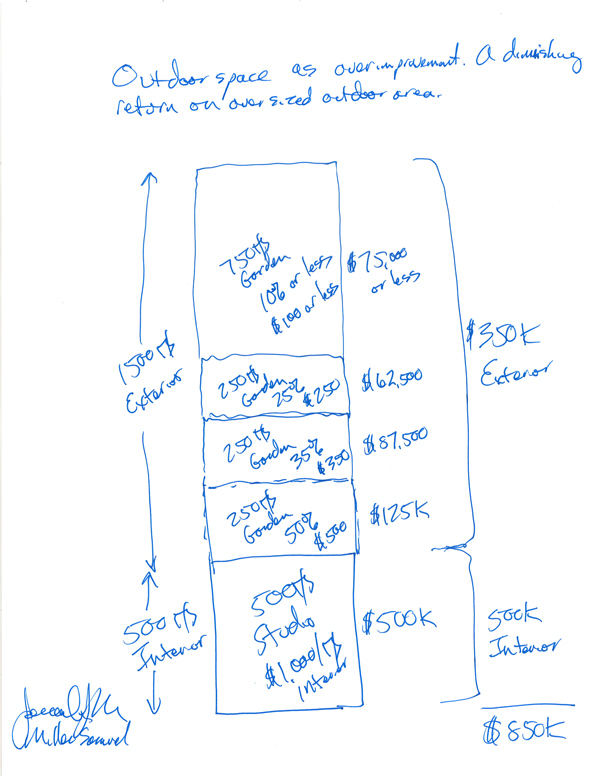 First hypothetical scenario sketch – i.e. a Brownstone garden apartment. Second hypothetical scenario sketch – i.e. a studio apartment with an oversized yard. Back in 2005, I did a fun exercise for New York Magazine – I was asked to value Central Park (just for fun) in about 3 minutes. It was within an article that ranked the reasons to love New York and was item number 3. The New York Observer recently asked me to update this calculation using the same methodology (in 3 minutes and just for fun) and I came up with $363,538,692,000 which is a far cry from $528,783,552,000. The same disclaimers apply as the original effort, seriously. To put this in perspective, about 9,000 Detroit properties were auctioned (hat tip WalletPop) with opening bids of $500. 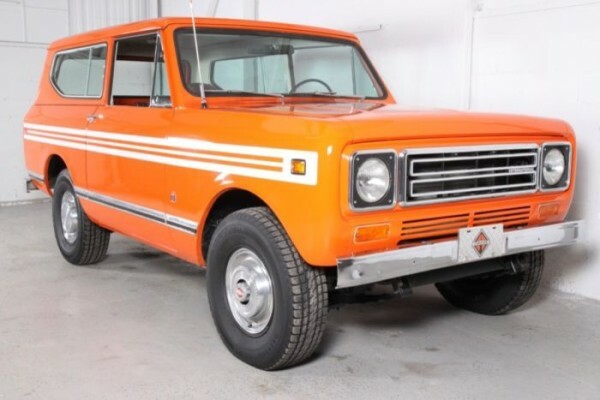 Only 20% received bids. The total land area of these properties was equivalent to Central Park. If all 9,000 properties received a bid of $500 (which is probably not far off if you assume the 20% that received bids were over $500 and the rest $0), that represents a total value of $4,500,000. Thats’s not much of a value and these properties also pull down values around them – plus they are off the tax roll placing more financial burden on existing properties. Most of the bidders were investors and vacant land in Detroit equals the entire footprint of Boston. As much as I love my time spent in Michigan and my relatives there, I believe this is called an economic failure spiral. made a huge, as in a nearly illegally dangerously huge bowl of chocolate pudding for the kids. was quoted for an A1 (page one) New York Times article (my 8th NYT front page story but who’s counting?) and another NYT story but not this one. Not much accomplished if measured in productivity, yet it was still a good weekend (even though my kids didn’t like the chocolate pudding). I highly recommend that everyone read the article from start to finish. Essentially in their quest for profits, the agencies’ relationship with Wall Street changed from a mysterious and powerful ratings entity to a firm working closely with their clients. 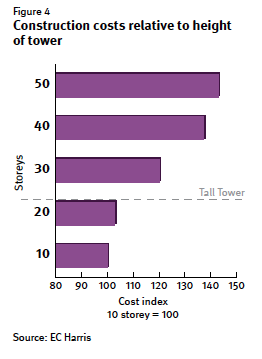 Rating agencies (Moody’s, S&P, Fitch are the biggies) sought fees from investment banks to rate securities. If the ratings were too conservative, the bank could simply go to one of the other agencies to get the rating they wanted to. The agencies were essentially behind the curve in understanding the sophisticated new products being introduced at a rapid rate. A few years ago, as I was getting more and more frustrated at the lack of neutrality in the mortgage lending process and the shaft given to good appraisers in the form of pressure, even an outsider like me could see that something was wrong with the relationship. The system can’t allow a ratings agency to be at the mercy of fee driven investment banks. The proverbial hand in the cookie jar. Rating agencies were the enabler of securitization much like appraisers were the enabler of shady lending practices. Search hard enough and long enough and anyone can find someone to make the deal work. The search for new profits and their close relationship with Wall Street placed them in a non-neutral position yet investors were relying on the ratings. The agencies have a very big credibility problem right now with investors. It’s all about the lack of activity in the credit markets right now. It’s certainly telling that the three ratings agencies and four major mortgage related associations took the position with Congress that the current administration’s suggestions for fixing the problem were flawed. The Real Estate Roundtable, Mortgage Bankers Association, Commercial Mortgage Securities Association and the National Association of Realtors basically took the position not to do anything but teach investors how to, well…invest. The credit markets are currently frozen because of the lack of neutrality in the rating and mortgage process, not because investors are ignorant. Next thing we will start hearing is that the agencies and associations will simply self-police. Fear of change, living in denial. Here’s something that’s not overrated: Joe’s Gizzard City, my favorite college hangout (note the Michigan State jersey).